The Thiruvananthapuram City Road Improvement Project (TCRIP), the maiden venture of Kerala Road Fund Board involving a 42km stretch, is nearing completion. The Project has given the Kerala capital city a world-class ambience. The directive by the Ministry of Urban Development to emulate the Thiruvananthapuram Model is a recognition that the Government of Kerala and the Concessionaire – Thiruvananthapuram Road Development Co. Ltd. (TRDCL), managed by IL & FS – truly deserve. In the transformation of Thirvananthapuram, which has rich traditions, ancient political & cultural history and natural beauty, TRDCL has acted as the strong face. The success story of this coming together of the government and the public is told here by Anilkumar Pandala, Project Director, TCRIP, who in fact is one of the important features of the ‘face’. Trivandrum, known as Thiruvananthapuram, is the Capital City of the State of Kerala. It is the most populous city in Kerala and stands sixth in the State in Urban Agglomeration at 16.87 lakhs. It has an area of 214 Sqkm. 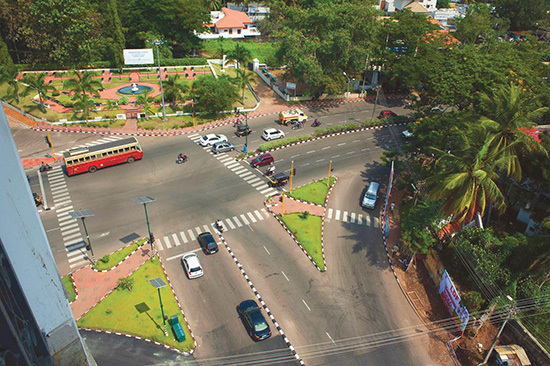 Thiruvananthapuram is the centre the Government functioning. The City has no significant manufacturing activities. Because of this, the environment is cleaner than most cities. It is the home of Technopark, which is the first Information Technology Park in the country and employs more than 50,000 people. It is projected that the City will see a three-fold growth in IT workers in the next ten years, adding to a possible growth spurred by the proposed Vizhinjam Mother Port. Once called the cleanest city in India, Thiruvananthapuram can boast of best facilities in Education, Health Care and Housing in the State. Thiruvananthapuram district ranks fourth in Green crown coverage in the State of Kerala with over 62% of the land mass. Kerala is the most picturesque State in India, rich in traditions, and endowed with natural beauty. From this laid back and pristine environment, Thiruvananthapuram contributes 80% of the state’s software exports and is also the principal IT hub of Kerala. As development was directly related to industrialization,Trivandrum city never developed infrastructure wise after the independence. It was declared a Municipality in 1920. It is interesting to note that the City limits were redefined only post 2000, after it was declared a Corporation in 1940. The city’s narrow roads, unorthodox patterns of roads and soothing red and white massive heritage buildings, reminding us of the glorious colonial past, give visitors a sense of belonging. It’s crowded, but clean, beaches of red fine sand add to the joy. However, increase in population, commercial activities and resultant increase in vehicle population saw the streets bursting at its seam, not being able to match the demand and supply for office space, commercial space, vehicles and pedestrians all at the same time. 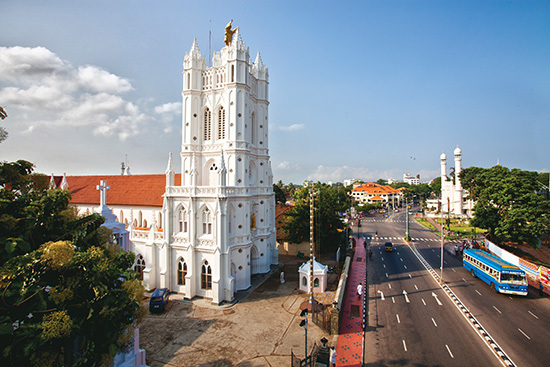 Changing governments paid little attention to planned development, which was very much possible in a Capital city like Trivandrum which had the advantage of excellent town planning initiatives till the end of the monarchy. Development of any city or region is closely linked to its accessibility, connectivity and transportation facilities, no other catalyst defines a need to improve any one or all of the above. Given the situation that the City did not have the commercial activity that demanded a change in the three parameters, the initiatives had to start from preparing the City with essential infrastructure. It is in this background that the Ministry under the then Chief Minister A.K. Antony decided to kick start an action plan for development of Trivandrum city. The Government constituted an Empowered Committee to take up what was termed as the Capital Region Development Project, CRDP. This project identified three major areas for development, which included Roads, Water supply and Sewage Management. 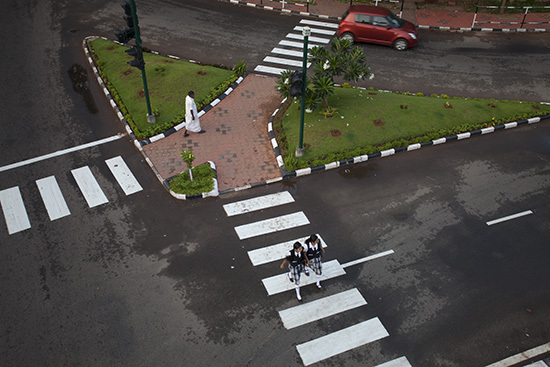 One of the projects was the Thiruvananthapuram City Road Improvement Project or, TCRIP in short. The Transaction Advisor for TCRIP initially identified close to 100km of roads that could be developed to acceptable standards. Consulting Engineering Services (CES) was engaged to prepare the Detailed Project Report for TCRIP. Though the Government started with 100km of internal roads in the city, they soon realised that it could not be easy to mop up sufficient funds. This made them scale down the scope to just above 42km. 7. To more than compensate for the trees cut for the development, and, in addition, increase the green cover multi-fold. TCRIP is the first project to be taken up in a PPP model in the country for development of infrastructure of a city. The fact that this was being taken up in a place like Kerala (especially Thiruvananthapuram) and that involved acquisition of approximately 5200 parcels of land from the public, and the need for an excellent co-ordination with utility agencies made it appear as an impossible project. This is what made it more challenging to the then Additional Chief Secretary Babu Jacob and the Politician – Chairman of TRIDA, P K Venugopal. Assisted by two dedicated and rare Engineers of PWD P A Eapen and Ansar, the motley team kept on raising the bar as far as targets were concerned. These veterans in administration anticipated and manoeuvred all possible and predictable hurdles to make this project an achievable one. Today, the fact that 98% of the project has been completed gives a tremendous boost of confidence to the people of Thiruvananthapuram, and Kerala at large, and establishes that it is possible to create wonders here too. Recognition came from unexpected quarters. 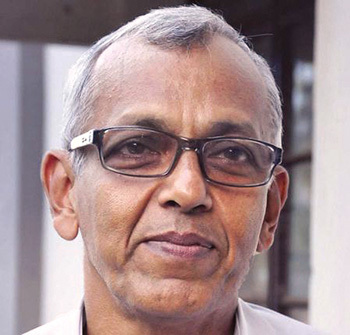 The Ministry of Urban Development, suo moto, informed Chief Secretaries of all States and Union Territories that the Thiruvananthapuram Model of Urban Infrastructure Development is the only successful model and that this may be studied and adopted.